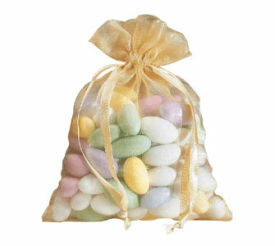 Organza Bags are the perfect finishing touch for packing delicate items such as rings, pendants, candy and more! Their sophisticated, yet fun see-through fabric makes them great for weddings, birthdays and anniversaries. At American Retail Supply we offer flat and gusseted organza bags. Velvet bags are ideal for gift shops, jewelry stores, beauty salons and more looking to send their customs home with a high-end and luxurious bag. Each Velvet bag is made of specially selected velvet, has a small amount of stretch and closed with a pull ribbon. The Velvet Bags are also thin, soft and polyester lined.